Tourists can provide an economic boost in your community and to your business. How does your business get a piece of the tourism pie? Be creative! 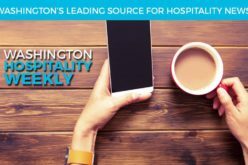 To spark your imagination, here are three ways hospitality businesses in Washington are enticing guests to their doors. Lodging businesses especially, but even restaurants, are going out of their way to accommodate Fifi and Fido. Jacob Schmidt, the director of marketing for Visit Vancouver USA, said the pet friendly demand in the hospitality and tourism industry is here. Vancouver has been a heavyweight in beefing up offerings for travelers accompanied by their furry companions. The result? A whole city dedicated to serving tourists as a pet-friendly destination. Visit Vancouver USA’s website has an entire section devoted to hotels, parks and events that are pet friendly. The area boasts off-leash dog parks and other outdoor pursuits your pup will enjoy, like the farmers market. If the relaxed, inclusive vibe is what tourists are seeking, they can visit association members Heathman Lodge or Candlewood Suites for a sweet night’s sleep. Or they can enjoy an open-air dinner on the patio at Beaches, Shanahan’s or Ferial Public House. Anything to get Fido out of the car and by their side. To make your business pet friendly, start with the health department to make sure the changes you’re thinking about are in compliance with city, county and state regulations. “Guests from all over the globe and all over the country are on epic journeys looking for something that’s not generic,” said Dave Lundgren, owner of the Waterville Historic Hotel. In 1999, he received the Washington State Office of Archaeology and Historic Preservation Officer’s Award for Outstanding Achievement to honor his efforts in restoring his 1903 hotel. It’s a gem in the small town of Waterville, just south of Lake Chelan. The McMenamin brothers, Mike and Brian, have found their niche in restoring historic buildings and turning them into hotels combined with restaurants, brew pubs and movie theaters. Other member standouts: Doc’s Marina Grill in Port Townsend lovingly shares its history as former housing for military nurses. The Mayflower Park Hotel in Seattle is exquisitely maintained and has a nonfiction book (for purchase in retail stores) and free brochure on its at times decadent history. In the east, the historic Davenport Hotel and the Marcus Whitman Hotel are top-of-mind. Unsure if your business has deep roots? A simple trip to the library or to your local newspaper should connect you to individuals who can help you research. To deepen the guest experience, consider offering something unique to your business. Ghost tours are certainly growing in popularity, and special events, like the Waterville Hotel’s hosting of a vintage car club group every year brings in guests. Those looking for that unique experience will seek you out. If you’ve got it, flaunt it. Today’s tourist is looking for those authentic experiences. Google “Food Challenge WA” and you get a comprehensive list of restaurants and festivals offering some kind of gut-busting challenge. 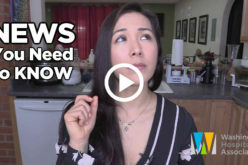 While food challenges can be fun for the hometown crowd, even YouTube-ers are getting in on the action, traveling to restaurants and filming challenges. Member Ramblin Jack’s Ribeye in Chehalis has a Cattle Drive Burger Challenge. Contestants must eat a hamburger with three, six-ounce burger patties, an order of fries and a one-pound cinnamon roll. Do it and the restaurant will put your photo on Facebook. For just about $21, tourists can earn instant social media stardom. So how did Ribeye’s challenge come about? Owner Adam Adrian said Mike Fourtner from the “Deadliest Catch” TV show lives nearby and was the catalyst. Maaika Sotello, a manager at the Ribeye, said she has seen the challenge go down in her restaurant more than 10 times in the last year. A food challenge is an easy idea to add to the dining experience that tourists will seek out. Though, be generous with the post-meal Facebook photo. Sotello said after finishing the Cattle Drive Burger Challenge, the winner simply looks like they’re sick. Connect with your local DMO. In Washington state, destination marketing organizations (DMOs) at the city, county and regional level receive local lodging tax dollars to promote tourism in the areas they represent. Follow the Vancouver pet-friendly example and link a special package or discount to your local DMO’s marketing campaigns. Leverage community events and big attractions. It goes without saying that hotels and restaurants in Skagit Valley know that tulips bring travelers to their doors. Build creatively off what is already encouraging travelers and diners to consider staying and eating in your area. Celebrate your unique story and offerings. Travelers these days, particularly Millennials and those coming after them, enjoy unique and share-worthy experiences. Give them something special to help them look on their social media channels. Look at what is working for your peers. Be creative, but know that you don’t have to reinvent the wheel. As you work on developing how to offer a more unique experience, spend a few hours looking at websites of similar businesses in other parts of the state or country. Surfing online will spark your imagination. Engage your guests in telling your story. Consider contests with prizes that will encourage your guests to snap and post selfies and start social media conversations with their friends about the great experience they had at your business.